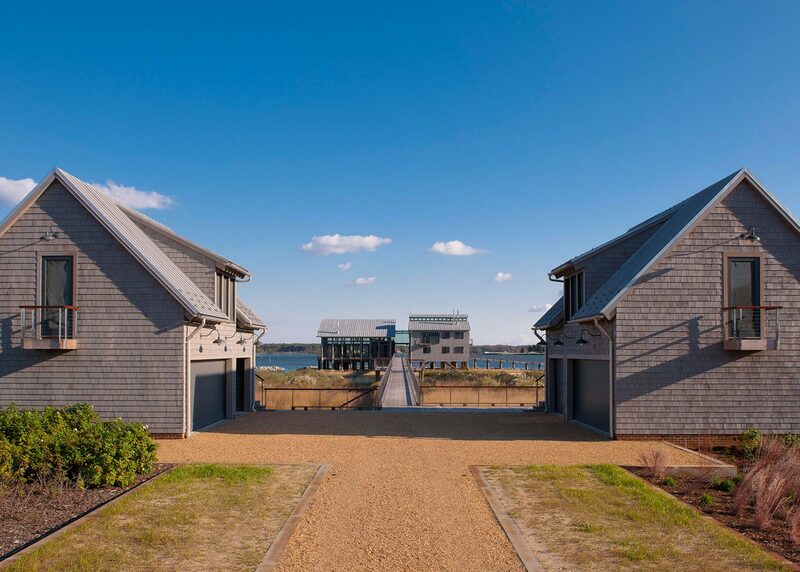 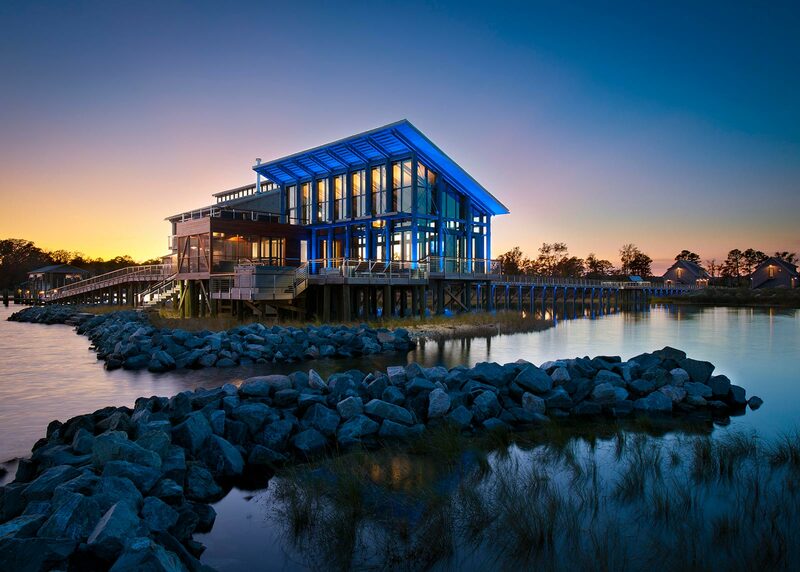 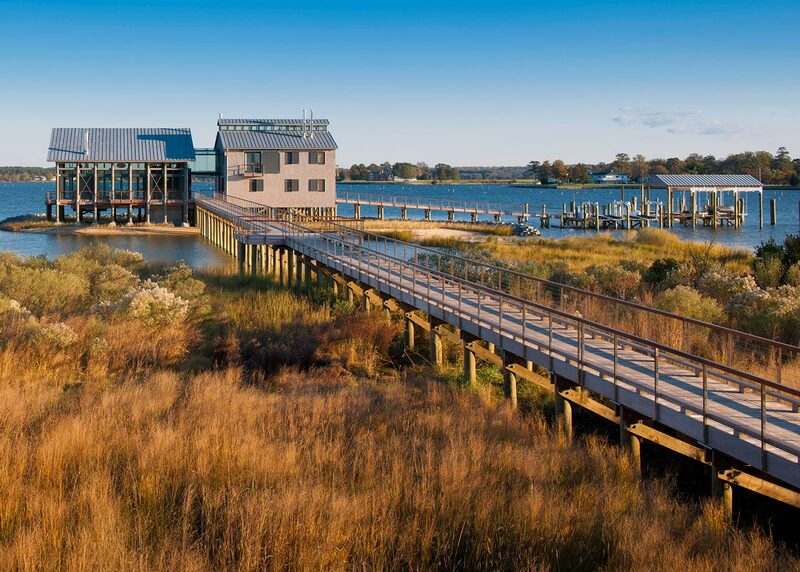 Oyster House, so named because the home sits on the former site of an oyster shucking factory, overlooks the Chesapeake Bay and the Potomac River. 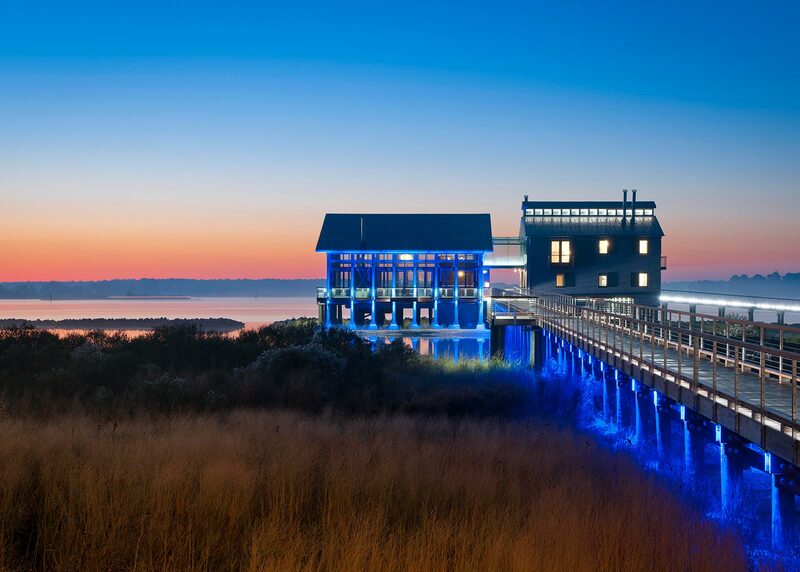 The main house, located at the end of a 12-acre peninsula, is removed from the guest quarters and accessible via a boardwalk. 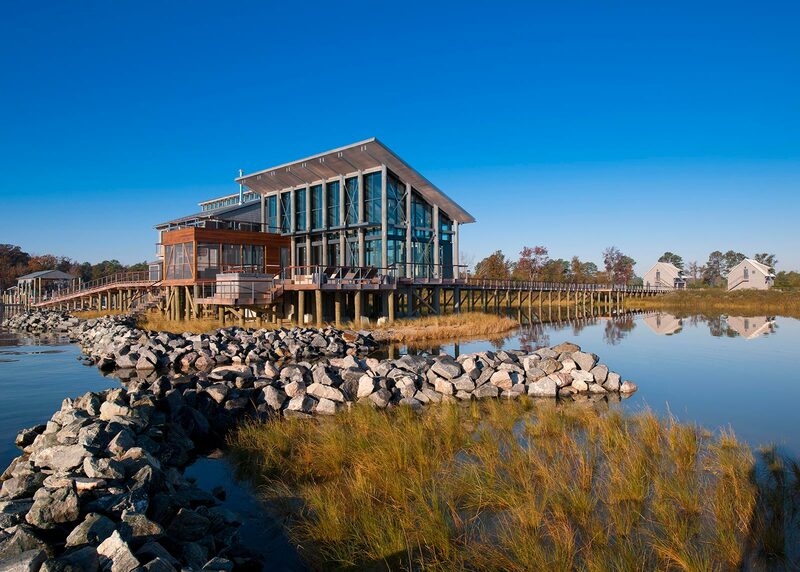 The property’s landscape design preserved the existing marshlands and allows for natural fertilization and irrigation. 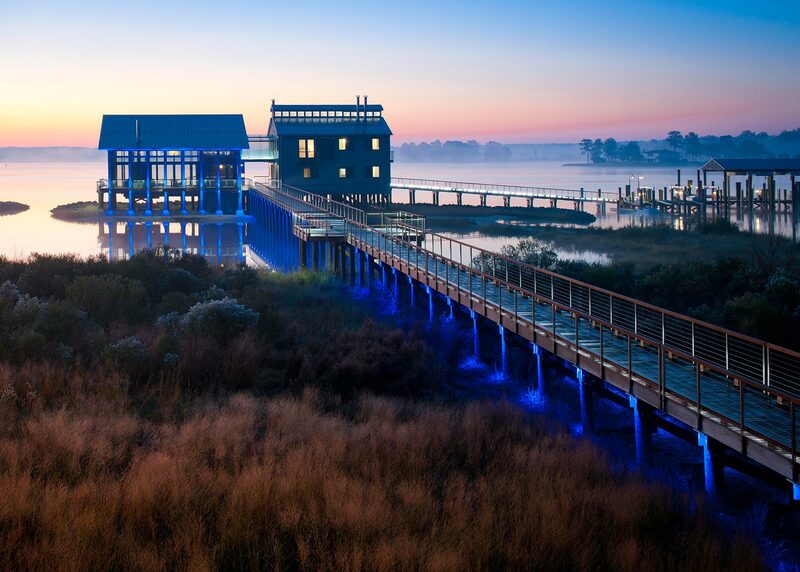 Beds of salt and wind tolerant plantings frame the modern buildings and spill into long, loose sweeps of native meadows and a restored loblolly pine forest beyond.